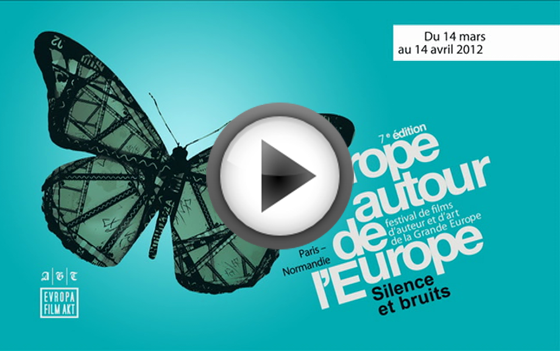 After watching a formidable number of new films from throughout Europe and after the resurgence of films that have been with me like good friends through the decades, I offer you the programme of the seventh edition of the Festival L’Europe Autour de l’Europe. Once again I see that the films have organised themselves, through their common links to certain themes, whether it be the power of men or gods, the issues related to the migrations of individuals and peoples, from internal scars to paradigmatic destinies of the 20th century, the heroes we’ve long known appear– the good man, the disoriented man, the madman, the fool. And we identify with them ! they are like us– they can no longer fathom their world. Murnau, Carlsen, Bergman, Petrovic, Babaja… Sokurov and Tarr ; and young and exceptionally talented filmmakers from Norway to Estonia, from the Czechs to the Russians. Come and see their films, come and meet them. These authors can still surprise you ; it’s part of their job, as is a bit of provocation… They will help us to see and hear sound and silence, to examine our link with the world. So we start by retracing our steps from Europe back to Greece with the masterpiece «the Suspended Step of the Stork» by Theo Angelopoulos, the opening film. The Audiences’ responsability has never been greater! Let us be guided by the innocents – heroes of our films, heroes of our times.